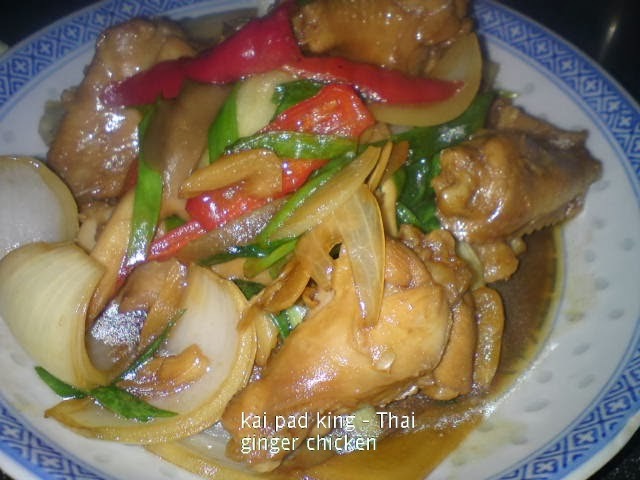 An easy and tasty Thai chicken dish. 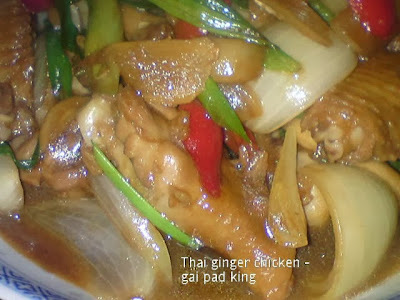 Very appetising with rice. 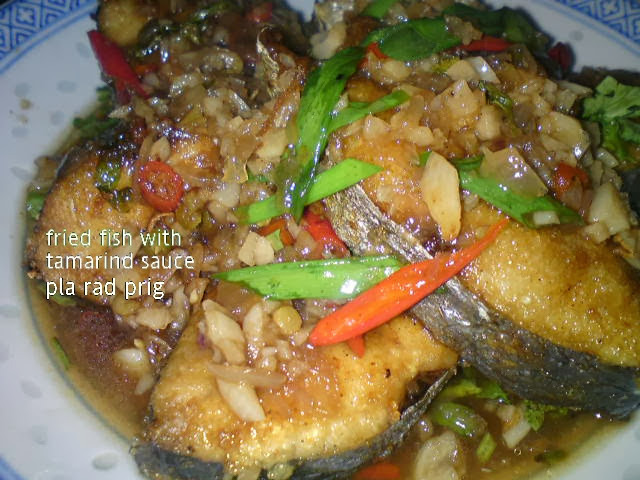 The gravy is slightly salty from the fish sauce and the sweetness is from the yellow onions. 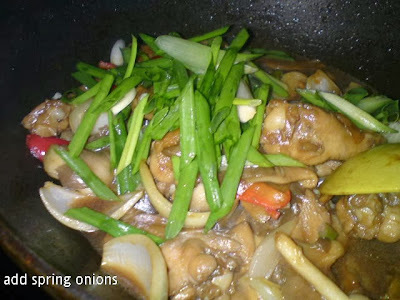 Overall, the ingredients blend well with each other. It's an easy dish to prepare and serve as a One Dish Meal with steaming hot rice. 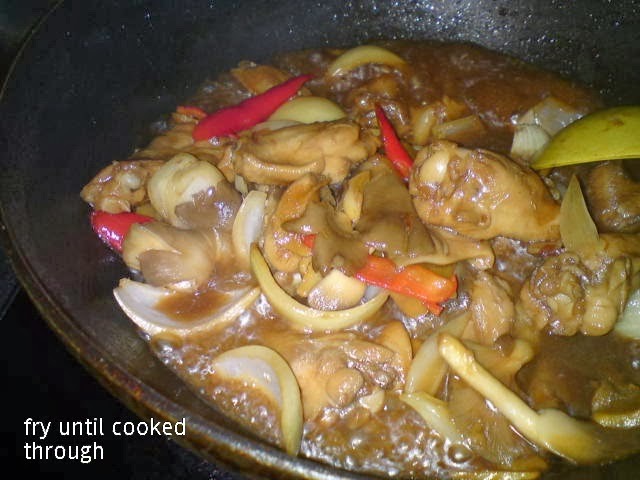 This dish was cooked at my MIL's place and the wok pan belongs to my hubby's nephew. Look at the condition - this wok is not 'loved' by its' owner, hahaha! I bought a 'wok brush' for him. Hopefully the wok is going to have a clean look soon. 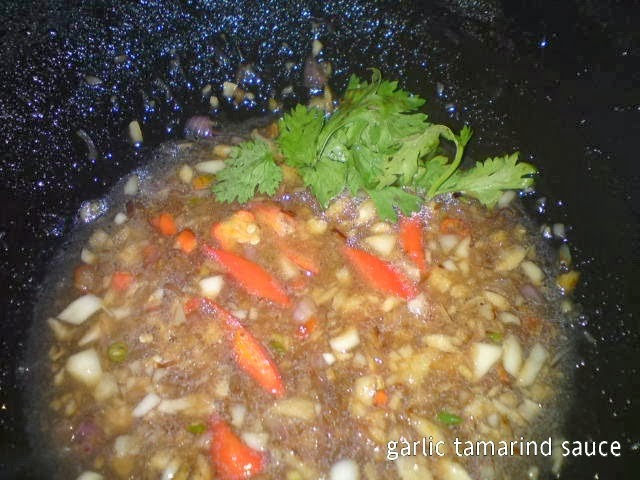 Heat oil in wok, saute ginger and garlic until aromatic. Add in the chicken pieces. Fry until nearly cooked. Add in the seasoning. Continue frying until the gravy is bubbly. 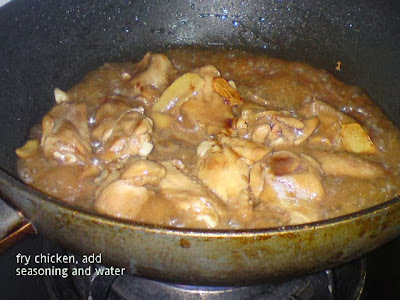 Add some water to cook chicken until tender and gravy is reduced. Add in all the remaining ingredients. Give it a good stir to mix well. 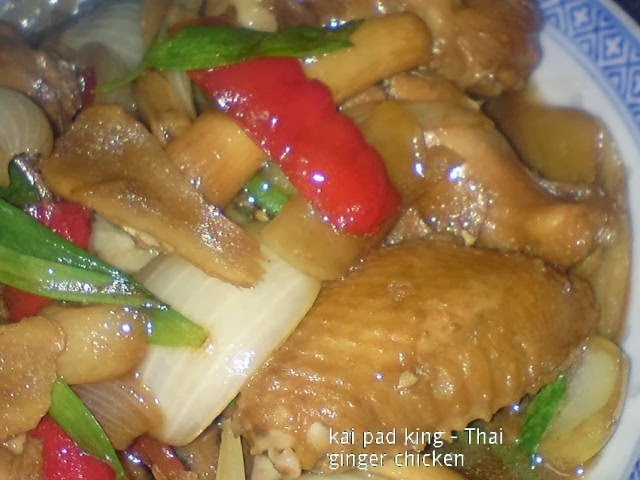 Never really convince myself that Thai food is quite easy to cook and appetising until I tried several Thai dishes for the Asian Food Fest event. 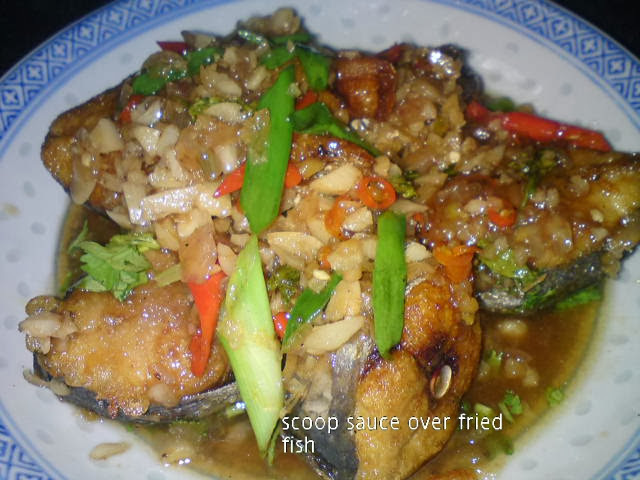 This is another lovely fish recipe that is worth preparing instead of the usual Fried Fish with Tau Cheong [Chien Chuan Hu] or Sweet Sour Fried Fish. 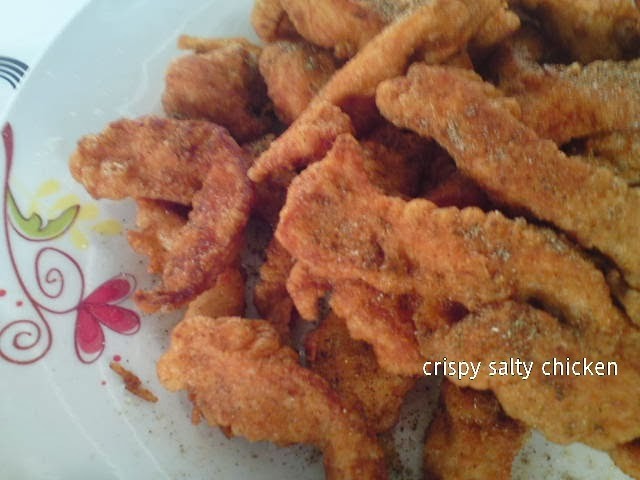 My niece asked whether I'm cooking the same fish dish the next day. Usually, she is afraid of cut chillies but this time I saw her scooping up all the sauce. 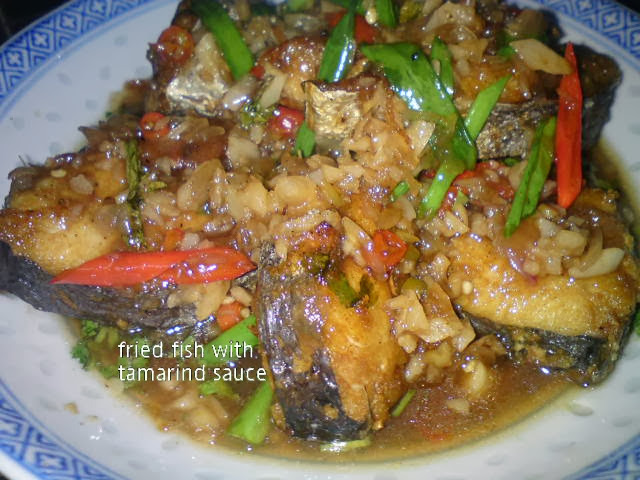 Here I used Spanish Mackerel fish blocks and doubled the sauce portion as we needed more sauce to go with rice. 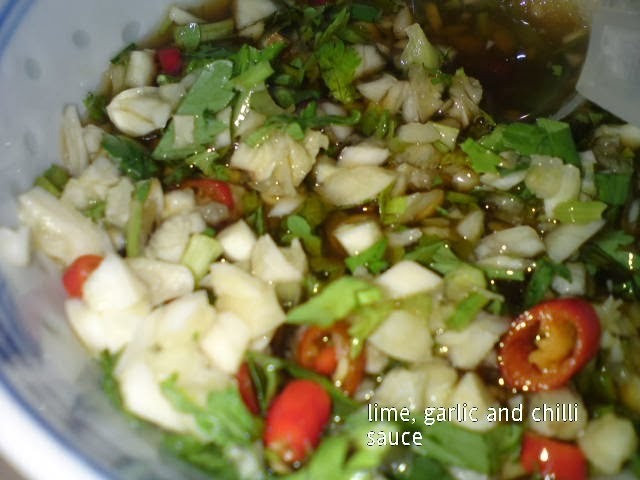 This sauce should be good for fried prawns or tofu. The sauce is tasty, sweet, sourish and spicy. 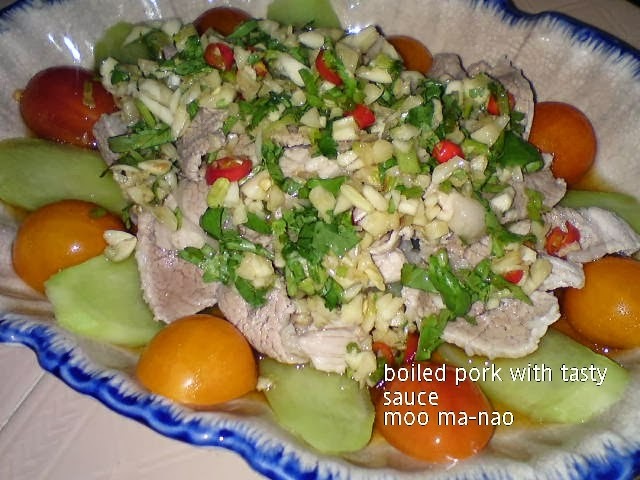 Very appetising with rice. 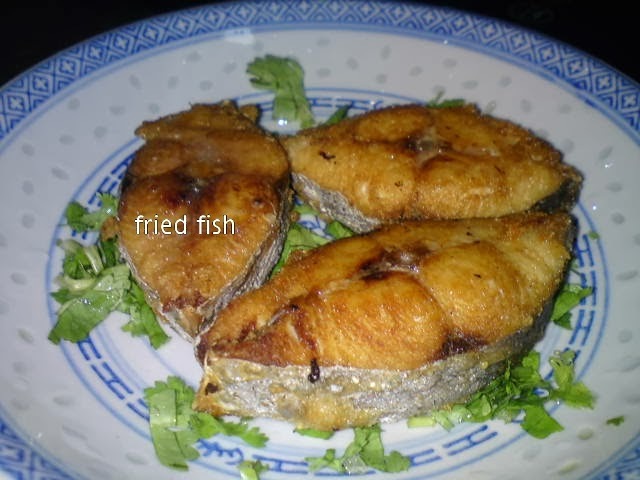 Fry fish until golden brown and crispy. 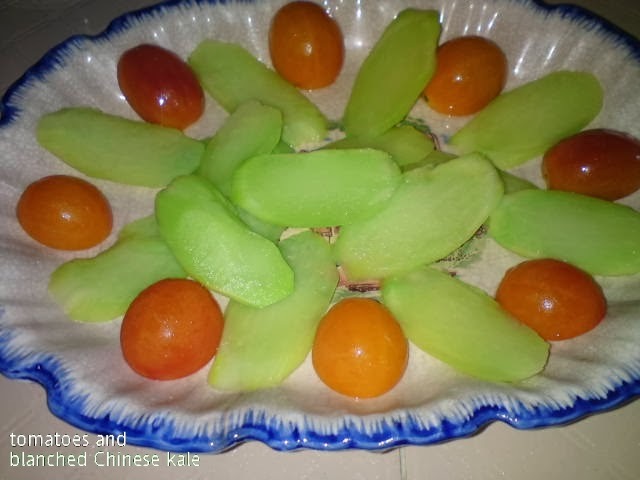 Place on serving platter. Heat oil in wok, saute chopped garlic and shallots until aromatic. 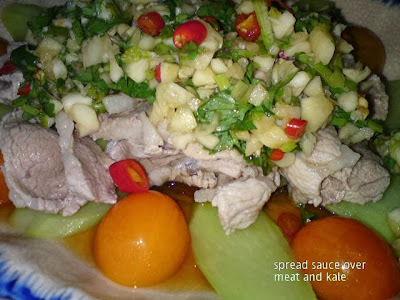 Add in chillies and tamarind juice. 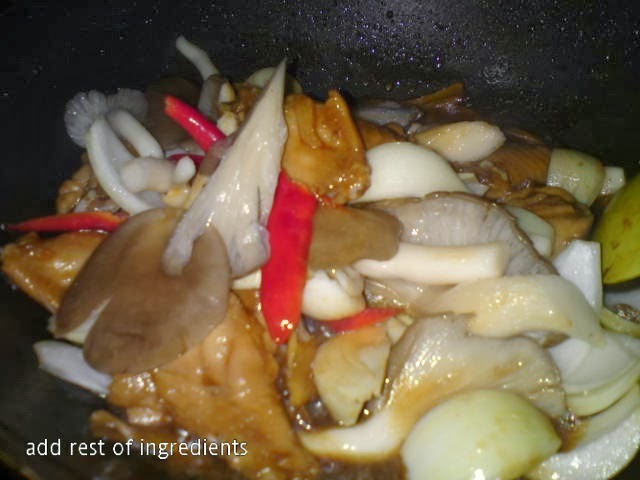 Bring to boil,add in sugar and fish sauce [should be like the consistency of maple syrup]. 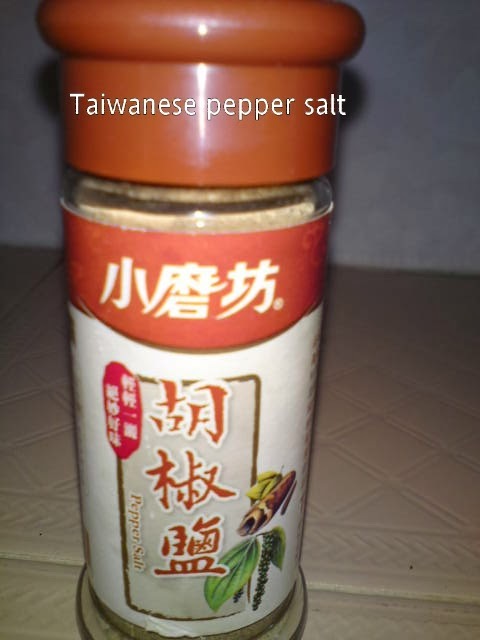 Taste to adjust seasoning [according to your desire]. Add coriander leaves. Pour sauce over fried fish. Serve immediately. 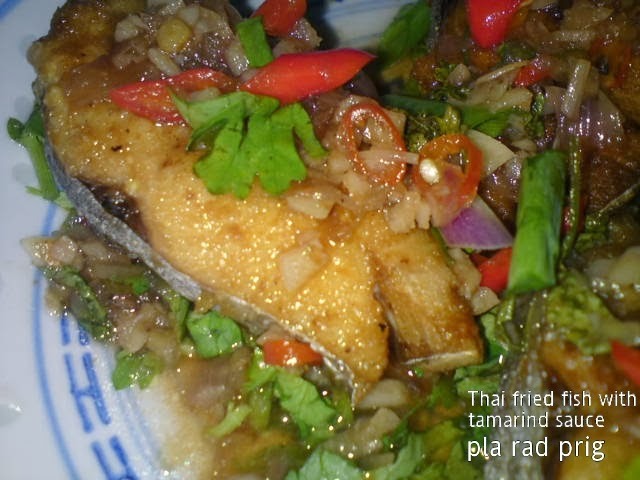 TIP from Thai Food Recipe which I like : For more crispiness of the fish, just only put fried fish in the oven on 180 degrees C for 10 minutes. Then pour the prepared sauce over before serving. 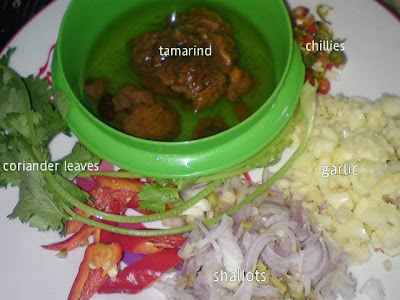 I just can't resist this kind of dish, that is savoury, sourish, spicy and sweet. Best of all, no frying at all. Also like the idea of adding Chinese kale. Was lucky to get it [not too big size] at the wet market today as I intend to prepare a smaller portion. 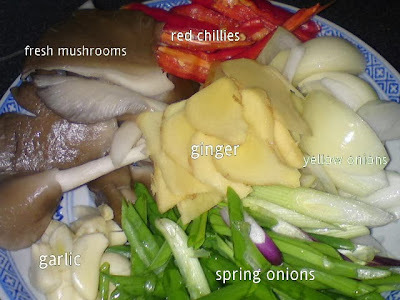 Also used the blanching the vegetable and meat as stock for my vegetable soup. Should have prepared the full portion cos' it was awesome. 1. Combine sauce ingredients in a small bowl. 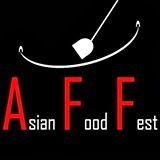 Taste to adjust according to your preference. 2. Bring small water to boil, add in kale to cook. 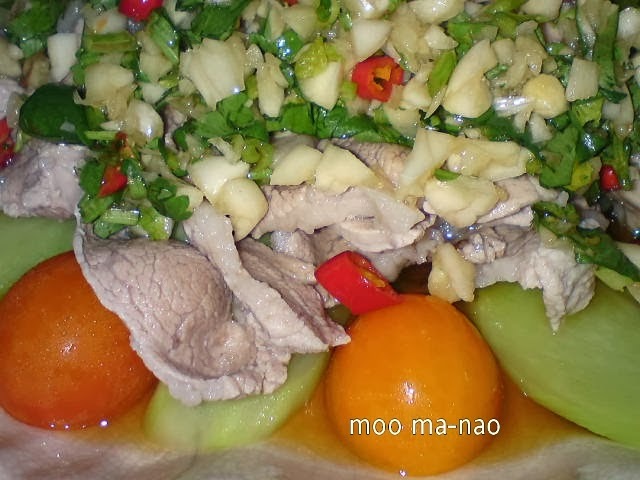 Dish out onto serving plate. 3. 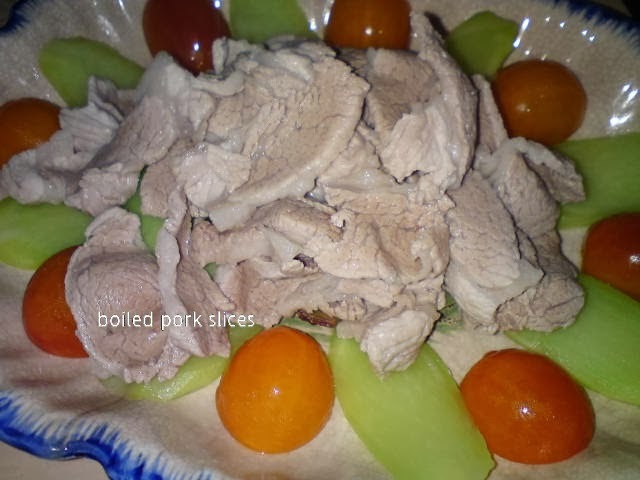 Use the same water, add in the sliced meat. Scald until cooked through. Dish out onto cooked kale. 4. 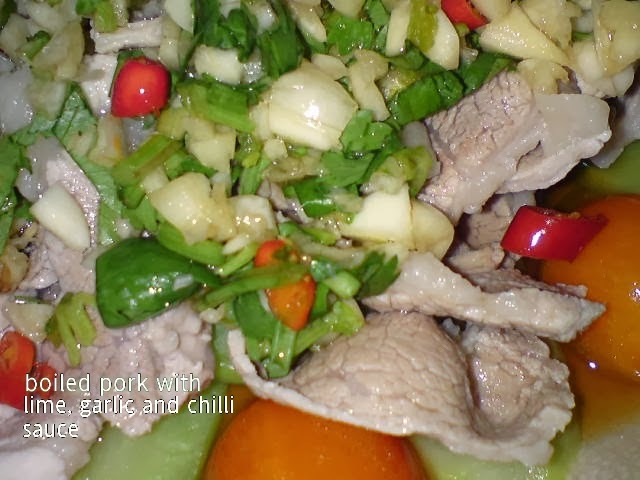 Pour sauce over cooked ingredients, garnish with coriander leaves. I think this is rather similar to the Taiwanese Fried Crispy Chicken. This version is not sweet as Taiwanese version. 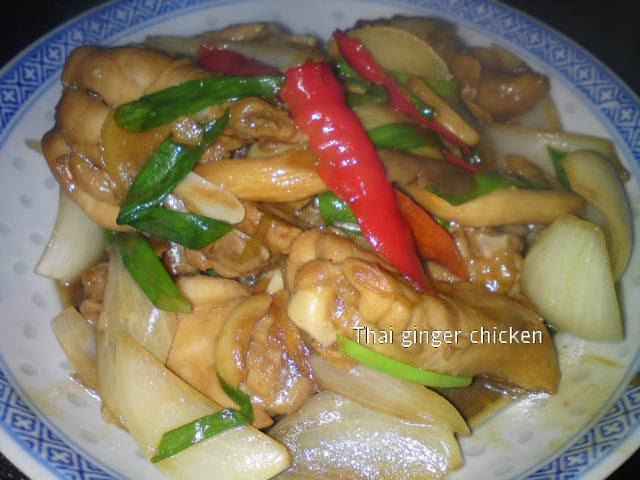 Very fragrant and tasty cos' of the salt and spices. 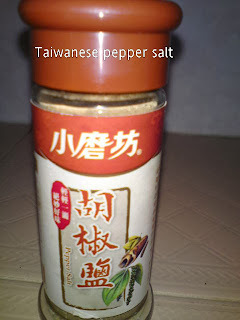 You can make the seasoning yourself or substitute it with the Taiwanese pepper salt [I bought a bottle from Taiwan for RM3.00]. 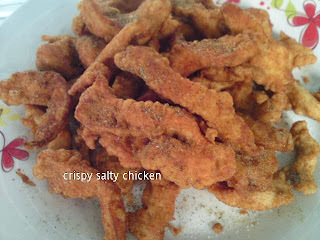 Should be a nice finger food that is welcome by many children. 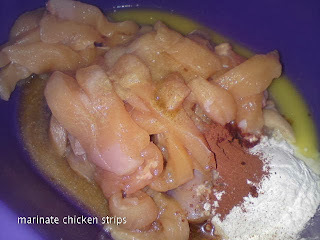 Mix marinade with chicken and marinate for at least an hour. Heat a clean wok, stir fry salt over low heat until hot. Add in the remaining ingredients. Mix well. 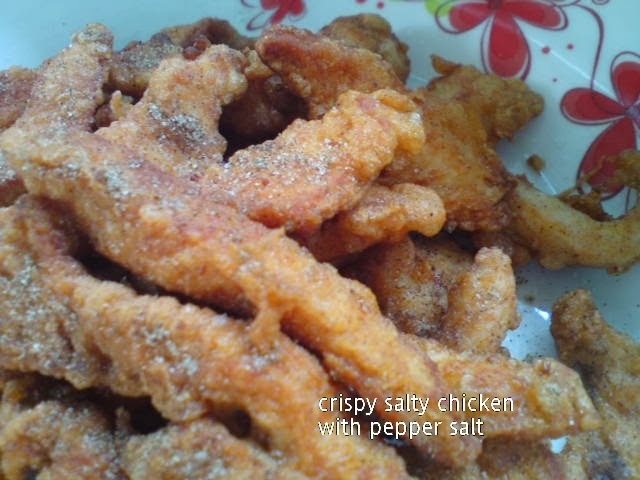 Add in fried chicken. Stir well. Dish out to serve. 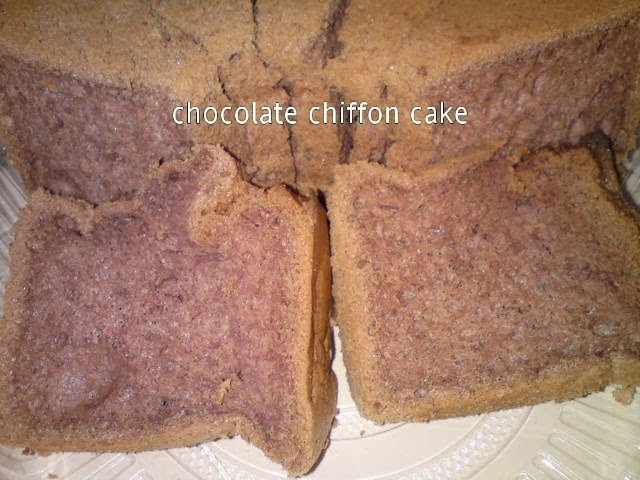 This is my first time baking a chiffon cake without any fats [oil]. The cake rose beautifully and of course there are cracks, perhaps I have used a wrong size [18 cm] chiffon pan. The recipe calls for a 22 cm pan. 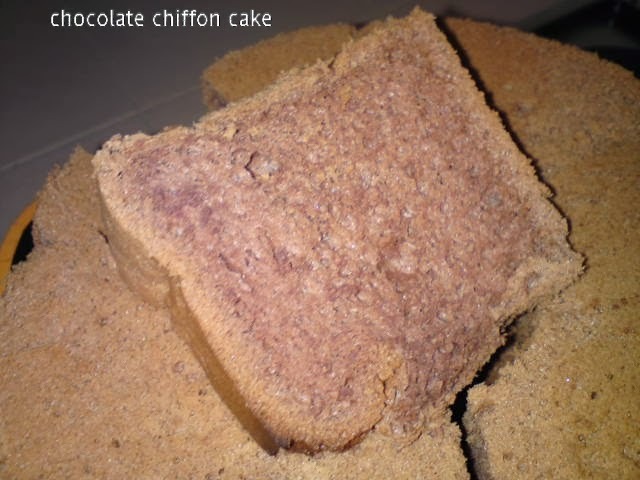 Anyway, this chiffon cake is very spongy, soft and moist. 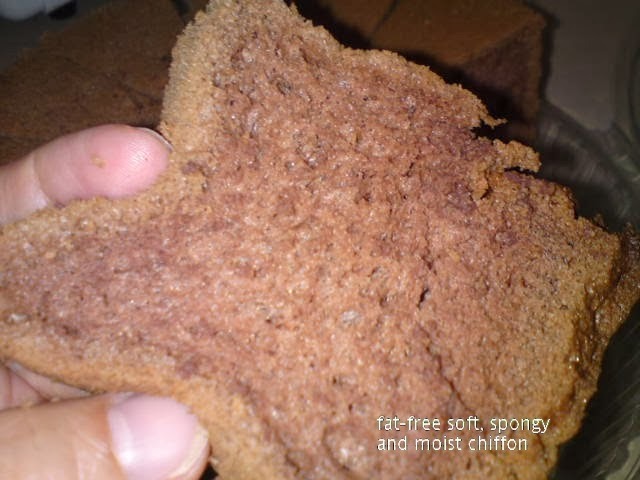 It's worth baking this if you are trying to cut down on fats in your diet, hehehe! Whisk egg yolks with cocoa mixture and flour until well combined and smooth. Set aside while you whisk the egg white. Preheat oven at 180 degrees C.
Whisk egg white until frothy then add in cream of tartar. Continue whisking until foamy then gradually add in sugar. Whisk until stiff peaks formed. Fold in 1/3 portion of meringue into egg yolk mixture. Mix until well incorporated. Then fold mixture into balance meringue, Mix well. Pour batter into 9" tube pan. Shake a little and tap pan on table top several times to release trapped air . Bake in preheated oven at 180 degrees C for 35-40 minutes. Invert pan immediately after baking to cool cake. 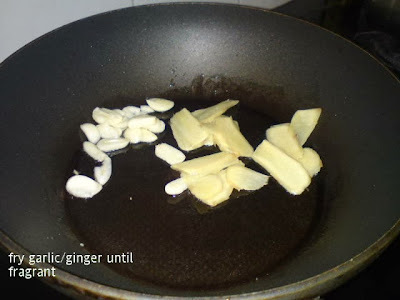 Use a thin spatula to run around the pan. Remove cake from pan, then use a serrated knife to slice cake before serving.